Children- milk, cheese, tofu, eggs, juice, cereal, beans/peas or peanut butter, fruits & vegetables, and whole grain bread or alternative. WHEN AND HOW DOES THE PARTICIPANT RECEIVE WIC VOUCHERS? The participant receives monthly food vouchers from their local health departments. These vouchers specify which foods the recipient is to receive. The vouchers are then redeemed by the participant through an approved vendor. Prenatal women can stay on the WIC program throughout their pregnancy until six weeks postpartum. Postpartum women may continue (if still eligible) until six months postpartum. Breastfeeding women may remain on the program for up to one year after delivery (if they continue to breastfeed). Infants may remain on the WIC program until their first birthday. Children may be eligible for WIC up to five years of age. They must be reassessed for eligibility every six months. How to I refer my patients or provide a WIC perscription? Medical documentation must be provided for the substitution of extra cheese, tofu, or soy milk. The Special Supplemental Nutrition Program for Women, Infants, and Children (WIC) is a short-term intervention program designed to influence nutrition and health behaviors in a targeted, high-risk population. Those eligible may receive WIC services even if they are working, are under the care of a private physician, and/or have private insurance. To determine eligibility, clients must provide proof of ID, proof of residency and proof of income or Medicaid/food stamp enrollment. The United States Department of Agriculture, Food and Nutrition Service publishes the annual Income Eligibility Guidelines for WIC. The Committee on Nutrition will be unveiling its new Formula Algorithm for Children on Georgia WIC soon! The Georgia AAP has been working with the Georgia WIC Program to develop a child formula algorithm to assist pediatricians and WIC Staff in the decision-making process of providing formulas for children. This project is similar to the work that was done with the infant formula algorithm. The algorithm, authored by Jay Hochman, MD, FAAP and Stan Cohen, MD, FAAP will be disseminated soon! A webinar on the infant and child algorithm was presented September 29, 2017 by Jay Hochman, MD and Kylia Crane RDN, LD. To view the recording, click here. This poster was designed to remind practices to refer their patients to WIC. There are many eligible pregnant, postpartum women, infants, and children that can benefit from WIC if enrolled, yet many referrals are submitted just for infants that are on special formulas that require a medical documentation form. A gap exists for the many patients that can benefit from all the resources and services that WIC provides. Click Here to download the poster. If you’re interested in receiving a hardcopy of the Infant Formula Algorithm or Referral Poster, please contact Kylia Crane at kcrane@gaaap.org or 404-881-5093. Goal: To maximize utilization of public health programs services through a collaborative partnership between primary care physicians and public health. Georgia’s WIC is currently in a contract with Nestlé Infant Nutrition (Nestlé). Nestle won the competitive bid to be the rebate contractor of infant formula for Georgia’s WIC. The contract with Nestlé will go into effect October 1, 2010 through September 30, 2013 and is eligible for contract extentions. Approximately every three years, WIC State agencies are required by law to seek competitive bids for the provision of contract infant formulas. WIC State agencies receive a rebate for each can of contract infant formula purchased by WIC participants. Having a formula contract maximizes resources such as nutrition services for WIC clients and the patients we serve. As a result of awarding the contract to a new formula manufacturer, there will be changes to Georgia’s WIC approved formulas. In addition to the infant formula contract process, Georgia’s WIC provided a public comment period in the form of a survey this summer. This survey allowed our medical community the opportunity to provide suggests, feedback, and/or concerns in an effort to improve Georgia’s WIC services. Also, we were encouraged to provide feedback to the prescribing process regarding Georgia’s WIC special formulas and medical documentation forms. *No prescription required for issuance age 9-11 months. Issuance to a child, i.e. above 1 year requires medical documentation. Similac Advance EarlyShield, Similac Sensitive Isomil Soy (formerly Isomil Advance with Iron), Similac Go & Grow EarlyShield Milk-Based and Similac Go & Grow EarlyShield Soy-Based will no longer be approved for Georgia’s WIC (even with a prescription) due to the change of contract. The complete listing of all Georgia’s WIC approved formulas and medical foods requiring medical documentation can be found at www.wic.ga.gov under the Health Care Provider link. This contract will be effective October 1, 2010; however, low risk WIC participants can receive up to three months of formula vouchers. Therefore, members are reminded that participants could receive Nestlé vouchers with a first day to use in October, starting in August 2010. Please remember that we share the vision to encourage and support WIC mothers to breastfeed as the optimal source of nutrition. WIC eligible moms that decide not to breastfeed should be given a WIC contracted formula or an alternative formula that is medically indicated. The Chapter will continue to provide your practice with information and resources via The Georgia Pediatrician, and on our website www.gaaap.org. If you have any questions regarding this information, please contact Kylia Crane, RD, LD, Nutrition Coordinator at (404) 881-5093 or via email at kcrane@gaaap.org. On October 1, 2009, the Special Supplemental Nutrition Program for Women, Infants and Children (WIC) significantly changed the food packages that participants receive. The changes to the WIC food packages are designed to improve the nutrition and health of pregnant women, breastfeeding and non breastfeeding postpartum women, infants and children up to age five. The new food packages promote and support the establishment of successful, long-term breastfeeding, provide WIC participants with a wide variety of foods including fruits, vegetables, and whole grains, and provide greater flexibility in tailoring food packages to accommodate the cultural food preferences of WIC participants. On December 6, 2007, the interim rule revising the WIC food package was published in the Federal Register. The revisions largely reflect recommendations made by the Institute of Medicine (IOM) of the National Academies in its report, “WIC Food Packages: Time for a Change”. The last revisions to the WIC food packages occurred in 1980. IOM’s final report contained recommendations to have the food packages align with the 2005 Dietary Guidelines for Americans and infant feeding practice guidelines of the American Academy of Pediatrics. How does this impact my practice? Approximately 51% of Georgia infants and children qualify for the WIC program, which means a significant number of your patients are receiving WIC benefits. These changes will not only affect the choices of foods that your patients can receive but it will also require you to individualize the package based off your patient’s unique medical needs. Significant changes have been made for the process for writing WIC prescriptions for special formulas & medical foods. Modifies infant formula amounts based on age and feeding method. Infant foods are added and juice eliminated in the packages for older infants in order to promote healthy dietary patterns. The new food packages provide more participant choice and a wider variety of foods than the previous food packages. Foods such as tortillas, brown rice, soy-based beverage, canned salmon, and a wide choice of fruits and vegetables will provide State agencies increased flexibility in prescribing culturally appropriate food packages. The food packages for the breastfeeding infant-mother dyad provide stronger incentives for continued breastfeeding, including providing limited formula to partially breastfed infants during the first month of life. Additional quantities and types of food are provided to breastfeeding mothers. Medical documentation ensures that you have approved the issuance of special formulas & medical foods that are appropriate for your patient’s specific medical needs. The goal of the new medical documentation requirements is to improve communication and coordination of care between WIC, the family, and the medical home. This will also ensure that there is appropriate justification for the use of special formulas & medical foods. Medical Documentation Forms have been created to make it easier to document the specific information required by the United States Department of Agriculture regulations. Using the GA WIC Medical Documentation Forms (Form #1 and Form #2) and completing them appropriately will save your practice valuable time and effort. Use Form #1 to prescribe special formulas and/or medical foods and to approve the WIC foods allowed based on a patient’s medical condition(s). Instructions and resources for form completion are included. These fillable forms can be saved, printed, signed and then faxed to the local WIC clinic or provided to the WIC participant. How often do WIC participants need to provide new medical documentation paperwork? Medical Documentation must be renewed at least every 6 months. New copies must also be provided at every certification, recertification, or mid-certification appointment if the date the authorized health care provider signed the most recent medical documentation form is more than 30 days old at the time of the certification appointment. Can providers use their own prescription pads for formula/medical food prescriptions? Due to the amount of detailed information that has to be included for documentation, it is highly recommended that providers use the Medical Documentation Form 1. Can WIC accept a verbal order for medical documentation? Yes, WIC must document all details of the verbal order in the participant’s WIC record and sign & date the documentation. Only one month of vouchers may be issued to the participant. The WIC clinic must receive written medical documentation within 2 weeks of the verbal order. No additional voucher may be issued until written medical documentation is received (e.g., cannot accept a 2nd verbal order). Which infants ages 6-11 months are eligible to receive more formula if they cannot tolerate solid foods? Only infants who have a qualifying medical condition and who are receiving an “exempt infant formula” or a “medical food” are eligible to receive additional formula in place of solid foods, if medically indicated. Infants ages 6-11 months who are receiving a standard “infant formula” cannot receive additional formula even if they are unable to consume solid foods (e.g., are being tube-fed a standard infant formula). What are examples of qualifying conditions for issuing tofu, soy milk, or extra cheese on Form #2? Tofu or Soy Milk = Lactose intolerance, vegan / vegetarian diet, milk protein allergy, religious / cultural reasons (e.g., Russian Orthodox). Extra Cheese = Lactose intolerance, underweight per BMI, inadequate weight gain during pregnancy, increased calorie needs due to a medical condition or illness. What are examples of non-specific medical diagnoses that cannot be accepted on Form #1? Colic, milk allergy, multiple food allergies, spitting up, milk intolerance, formula intolerance, feeding problems, feeding difficulties, picky eater, poor appetite, inadequate intake, constipation, cramps, digestive disturbances, fussiness, gas. The following diagnoses must have another underlying medical condition present and documented: “underweight,” “inadequate / poor weight gain,” “inadequate / poor growth,” and “feeding disorder.” The Georgia WIC Program cannot accept any of these diagnoses alone – a more specific, primary medical condition must be present and listed among the diagnoses (e.g., Cerebral Palsy, Failure To Thrive, Oral-Motor Feeding Disorder, Prematurity, Dysphagia, etc.). What if the number of ounces of formula prescribed per day on Form #1 is more or less than WIC can issue to a participant? If the health care provider prescribes more than the maximum monthly allowance of special formula or medical food for any participant, WIC can only issue the maximum monthly amount allowed by WIC policy. The participant should be educated about the maximum monthly allowance of formula based upon the participant category, age, feeding method, etc. If the health care provider prescribes less than the maximum monthly allowance of special formula or medical food on Form #1 for an infant, WIC must still issue the maximum monthly allowance based on age and feeding method. This is to ensure that the full nutritional benefit is provided and to account for infant age changes and corresponding formula maximum allowance changes that may occur during the 1-6 month time period during which the medical documentation is valid. If the health care provider prescribes less than the maximum monthly allowance of special formula or medical food on Form #1 for a child or woman, WIC must only issue the amount prescribed by the health care provider in addition to any authorized supplemental foods. Can WIC accept a range of ounces for the formula prescribed per day on Form #1? Yes. Ranges of formula can be accepted. However, the amount of special formula or medical food issued to the participant can never exceed the maximum monthly allowance based on WIC policy. Can the health care provider write “up to,” “ad lib,” “PRN,” or “WIC maximum” for the amount of formula prescribed per day on Form #1? No. An actual quantity of formula must be listed. What is the cutoff for accepting medical documentation based on the date it was signed by the provider? Medical documentation must have been signed by the health care provider no more than 30 days prior to when it is received by the WIC clinic. These diagnoses cannot be used alone. The Expert Committee Recommendations on the Assessment, Prevention and Treatment of Child and Adolescent Overweight and Obesity were released in June 2007, with the writing papers published in the December Supplement of Pediatrics. The committee, made up of representatives from fifteen health professional organizations including the American Academy of Pediatrics, was convened by the American Medical Association (AMA) and co-funded in collaboration with the Department of Health and Human Services’ Health Resources and Services Administration (HRSA) and the Centers for Disease Control and Prevention (CDC). The AMA, HRSA and the CDC, recognizing that obesity is a major public health problem, assembled an expert committee of representatives from organizations involved in medicine, nutrition, mental health, epidemiology and psychology to update the 1997 recommendations for the care of overweight and obese children. The National Initiative for Children’s Healthcare Quality (NICHQ), together with key partners, has created an Implementation Guide to accompany the newly released Obesity Recommendations. The Committee on Nutrition of the Georgia Chapter, American Academy of Pediatrics is committed to decreasing the prevalence of obesity in the children of this state. You are probably familiar with the statistics. The newest studies are even more frightening. Preliminary data indicates that in Georgia, eighteen percent of eighth graders and twenty five percent of 4th graders are over the 95th percentile for weight. How do you measure overweight and obesity in children? Expert Committee Recommendations on obesity evaluation and treatment encourage using Body Mass Index (BMI)/ Age Percentile as the main tool to assess weight in children age 2-20. BMI is a single number that evaluates an individual’s weight status in relation to height. 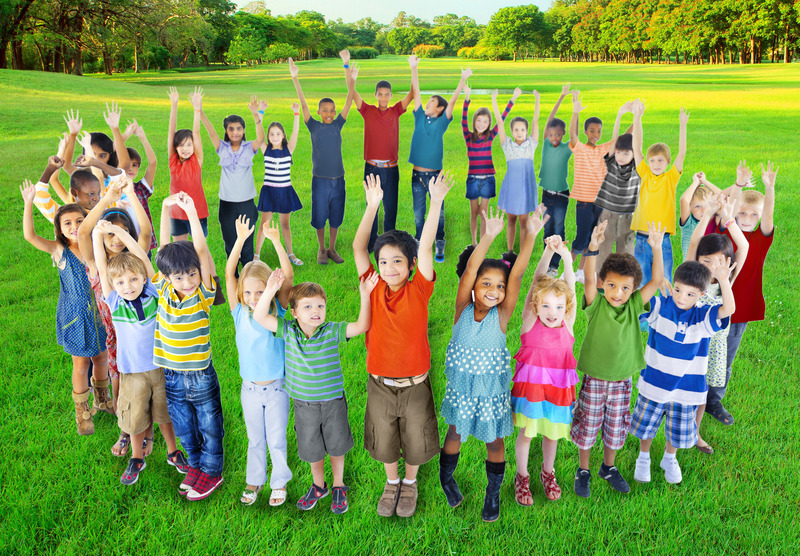 Use of BMI/Age Percentile to assess children provides a consistent measure across age groups. It correlates with measures of body fatness in children and adolescents. BMI is the standard measure used by the Centers for Disease Control and Prevention in the revised U.S. growth charts that were released in May 2000 and are available at the following website: www.cdc.gov/growthcharts or order from the American Academy of Pediatrics. There are various computer and palm pilot applications available to calculate BMI. You will enter the child’s age, height and weight and it will calculate the BMI. How do I define overweight & obesity in my patients? A child that has a body mass index above the 95th percentile for his or her age is considered obese. A child with a body mass index above the 85th percentile for his or her age is considered overweight. We hope this will help in your care of obese children and those at risk. Thank you for efforts to combat the obesity epidemic in Georgia. The AAP Committee on Nutrition (CON) with other AAP committees and sections has recognized the difficulties in getting reimbursement for obesity treatment and prevention. Until the Centers for Medicare and Medicaid Services recognize obesity as a disease, coverage and reimbursement will be denied. AAP is addressing this issue to advocate for improved coverage and reimbursement by managed care plans and private and public insurers. Correct diagnosis coding rules stipulate that the code for the diagnosis, condition, problem or other reason for an encounter shown in the medical record to be chiefly responsible for the services provided be reported. Additional codes can and should be reported describing any coexisting conditions that require or affect patient care treatment or management during a particular visit. If these conditions are not addressed during the course of a particular visit, they would not be reported. History codes (V10 – V19) may be used as secondary codes if the patient or family history impacts current care or influences treatment. These reported codes must be shown by documentation that the condition requires or affects patient care or management. At times there are no other problems, history or diagnoses that can be reported in addition to the diagnosis of obesity (278.00) or morbid obesity (278.01). The AAP has created an obesity and related co-morbidities coding fact sheet for primary care pediatricians. Breastfeeding women are taught to hand express breast milk, however in most districts, women can be provided with a manual and/or electric pump. Nursing 8-12 times per 24 hours. Wet diapers at least 6 times per 24 hours. Several stools per 24 hours, in first month. Softening of the breast after feeding. Visual and audible signs of swallowing. Each health district has a Breastfeeding Coordinator that plans, directs and coordinates the breastfeeding promotion, education and support for breastfeeding women in their districts. The AAP has created a coding fact sheet, Supporting Breastfeeding and Lactation: The Primary Care Pediatricians’ Guide to Getting Paid. Are you looking for local breastfeeding and lactation resources? This helpful guide provides you with resources specific to your area. Breastfeeding: A guide for the Medical Profession, by Ruth Lawrence C.V. Mosby Co., St. Louis, MO. 1999. Breastfeeding: A Parent’s Guide, Amy Spangler; Abby Drue Inc., U.S. 2000. Breastfeeding and Human Lactation, by Jan Riordan and Kathleen Auerbach; Jones & Barlett, Publishers, Boston, MA. 1999. The Breastfeeding Answer Book, by La Leche League International; La Leche League International, Franklin Park, IL. 1991. Medication and Mothers’ Milk, by Thomas Hale; Pharmasoft Medical Publishing, Amarillo, TX. 2008. Breastfeeding Education Resources, Raleigh, NC. VIDA Health Communication, Cambridge, MA. Inadequate or poor growth – These diagnoses cannot be used alone. The Georgia Student Health and Physical Education (SHAPE) Act was passed in the 2009 Georgia legislative session and is now Official Code of Georgia 20-2-777. Beginning in the 2011-2012 school year, each local school district is to conduct an annual fitness assessment program for all students in grades 1 – 12 enrolled in Georgia public school physical education classes taught by certified physical education teachers. Georgia Dept. of Education (DOE) had begun a pilot program, which includes training and testing within five school systems (about 200 schools) being conducted during the 2010 school year in grades 4-12. The school systems who have agreed to participate in the pilot program are Gwinnett, Bibb, Hall, Lowndes, and White. Statewide implementation will be conducted during the 2011-2012 school year. Testing: Fitness testing includes cardio-flexibility test, muscular strength endurance and body composition. Fitness testing will be done on students in grade 1-12 but data will be recorded on grade 4-12 (except for body composition that will be recorded on grade 1-12 as well). Standardized fitness testing is a useful tool for all schools to monitor trends and changes, collect data, and improve programs, curriculum and policy. Just like academic testing, standardized testing for physical education classes provides these same benefits and opportunities for improvement. Participating schools will not just be in compliance of the law, but they will also receive rewards and recognition incentives. Additionally, this will allow Georgia schools to monitor data from the testing to improve their physical education programs. The Chapter will continue to share this information from the Georgia Department of Education and the Georgia SHAPE Partnership as this information is made available. Created in partnership by National Dairy Council (NDC) and the National Football League (NFL), the Fuel Up to Play 60 program empowers youth to take actions to improve nutrition and physical activity at their school and for their own health. The ultimate goal is to ensure changes made at school are sustainable, making it possible for children to have more opportunities to be physically active and to eat tastier options of nutrient-rich foods like low-fat and fat-free milk, fruit, whole grains and vegetables throughout the school campus. By making changes in the school environment, students are more likely to meet the government recommendations for daily physical activity of 60 minutes and eat the appropriate number of servings from the food groups youth need most. 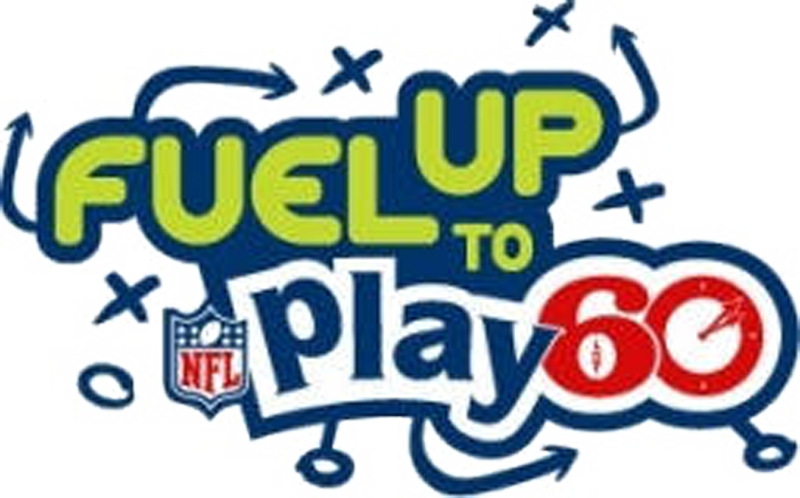 The U.S. Department of Agriculture (USDA) has joined Fuel Up to Play 60, along with multiple health organizations and several major corporations. Fuel Up to Play 60 is funded with an initial private sector financial commitment of $250 million over five years by America’s Dairy Farmers. Funding is expected to grow as government, business, communities and families join this effort. More than 58,000, or 60 percent, of the nation’s 96,000 private and public schools are currently enrolled in Fuel Up to Play 60. Fuel Up to Play 60 leverages the excitement of the NFL and applies social marketing principles to influence actions and behaviors and motivate youth to invest in their own health and take action to improve their school. The program lets students take the lead to develop nutrition and physical activity action strategies and engage the whole student body in the program. Fuel Up to Play 60 has fun action strategies for students to plan, implement and participate in for themselves and their school. Students help lead and design the strategies to create more options for being physically active and eating more healthy foods. Interactive Web site (www.FuelUpToPlay60.com) where students can sign up and take the pledge, play games and track healthy behaviors. Promotions include social media sites, in-school pep rallies, promotional displays, local events with NFL players (in some areas) rewards and prizes. Free Fuel Up to Play 60 Wellness Activation Kit for schools. Available at wwwFuelUpToPlay60.com, the kit includes healthy eating and physical activity programs and tools, such as posters, healthy habits pledge cards and tracking sheets. These resources will help students and adult advisors in co-creating and leading tailored Fuel Up to Play 60 efforts in their schools. Grants to facilitate schools making lasting improvements in nutrition and physical activity are also available in select areas (on a competitive basis). Kluger, J. How America’s children packed on the pounds. TIME, June 23, 2008; 68. Ogden, CL, Carroll, MD, Flegal, KM. High body mass index for age among US children and adolescents, 2003-2006. Journal of the American Medical Association. 2008; 299 (20): 2401-2405.Centers for Disease Control and Prevention, National Center for Health Statistics, 2006, Prevalence of Overweight Among Children and Adolescents: United States, 2003-2004. This information was provided by the Southeast United Dairy Industry Association, Inc.
Breastfeeding is acknowledged as the preferred method of infant feeding by the American Academy of Pediatrics, the American College of Obstetrics and Gynecology, the National Association of Pediatric Nurse Practitioners, The National Healthy Mother/Healthy Babies and others. Scientific research overwhelming indicates that breastfeeding is the superior method of feeding. Breastfeeding significantly lower rates of diarrhea ear infections and lowers respiratory illness. There are a number of studies that show a protective effect of human milk feeding against necrotizing enterocolitis, sudden infant death syndrome, allergic disease, early childhood caries, insulin-dependent diabetes, and obesity. Developmentally, breastfed infants have better visual acuity, and evidence suggests that their cognitive development is very good! Women who breastfeed have less vaginal bleeding and less risk of hemorrhage after birth. Milk production requires 500-1000 calories a day. One-half of the calories from body fat stored during pregnancy. Women who breastfeed lose pregnancy weight more easily than women who formula-feed. Breastfeeding reduces the risk of breast cancer in young women. The longer you breastfeed, the lower your risk. Breastfeeding reduces the risk of uterine cancer and ovarian cancer. Breastfeeding improves bone density and reduces the risk of hip fractures in older women. Breastfeeding requires no mixing, no measuring, and no clean-up, making nighttime feedings quick and easy. Breast and babies are portable. Breastfeeding promotes a special relationship between a mother and her baby. Human milk is nutritionally perfect for human infants. Human milk changes to meet the needs of a growing baby. Human milk is easily digested, so breastfed babies have less gas, colic and spitting up. Human milk contains important nutrients as well as special protective factors that we listed earlier: Less diarrhea, fewer urinary tract infections, fewer ear infections etc. Breastfeeding gives babies a chance to touch, to smell, to hear, to see, to taste, to know their mother from the first moment of birth. Studies show that mothers who receive advice, information and encouragement from their physicians to breastfeed are more likely to breastfeed than those who do not receive such advice. We can work together to increase breastfeeding in Georgia! WIC encourages all pregnant women to breastfeed their infants unless contraindicated for health reasons. Breastfeeding women receive nutrition counseling and a greater variety and quantity of food than non-breastfeeding, postpartum women. with any questions regarding the information on this site at kcrane@gaaap.org or 404-881-5093.